We are Gas Safe Registered (this replaced CORGI). 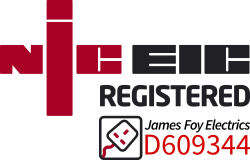 Our registration is JAMES FOY PLUMBING LTD with our Gas Safe Business ID being 563549. 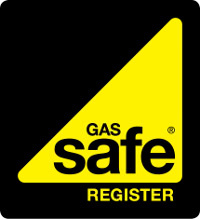 You can certify our Gas Safe Registration by going to https://www.gassaferegister.co.uk/find-an-engineer/#checkabusiness and entering our business name or Gas Safe ID (563549). By law all gas engineers must be on the Gas Safe Register. It is not optional and illegal to perform gas related works if the employed engineer is not certified by Gas Safe. You should never employ a non-gas safe engineer to perform gas installation, maintenance or repairs. Always insist you view your engineers Gas Safe identification upon arrival. All genuine, reputable companies/or engineers will never have a problem identifying themselves. It is dangerous and ultimately a false economy to employ a non-gas safe engineer. Help us eliminate this danger by only employing Gas Safe Businesses/Engineers. You can contact Gas Safe direct on 0800 408 5500 or email them: enquiries@gassaferegister.co.uk. If you can smell gas then call the free 24-hour National Grid Gas Emergency Helpline for England on 0800 111 999.